MACHINES : Company has Conventional and semi conventional machinery to produce good Quality of Products. INSPECTION : Company has unique Inspection facility to achieve goal to zero defects and rejection of any products manufactured well experienced and regularly trained, technocrat engineers, carry out the Inspection on each Individual product. INSTRUMENTS : As the Instruments are the heartbeats of Quality products, to assure good quality and competent Instruments are required. 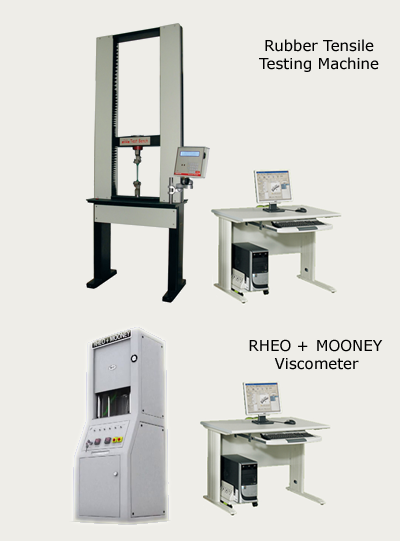 Company has invested good amount behind this to have majority type of Inspection instruments including all general purpose in instruments and gauges along with the Rubber Tensile Testing Machine, Rheometer, Mooney Viscometer and other sensitive instruments. CALIBRATING : Each and every Instrument and Gauges are periodically calibrated, to ensure integrity of measurement preventive. MAINTENANCE : Company had documented procedure to conduct the preventive maintenance of each and every machinery and instruments. TRAINING : It is the all-time practice of the company to train the entire staff at regular interval to keep updated the strength of the company to produce the excellent quality of the products that meets with the highest level of the customer satisfaction as all the time.